The Challenge Titan 200 20" Paper Cutter with Light Beams saves time and money. With todays digital print market placing great demands on your business, some decisions can be difficult. Investments in cutting-edge wide format, inkjet, and digital print engines ensure you meet your customers diverse needs, but there are so many choices! 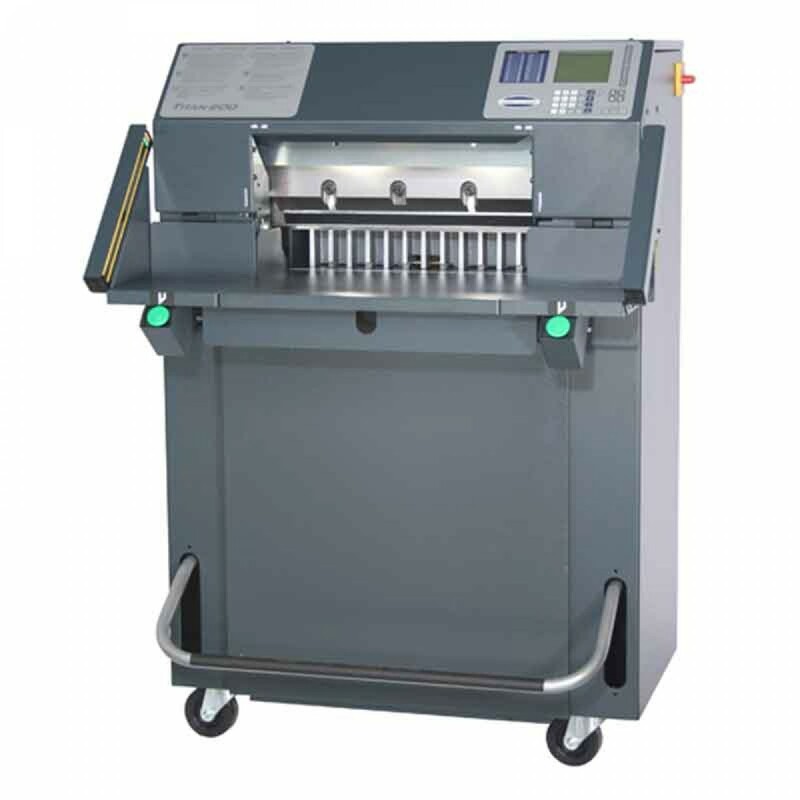 When it comes to choosing your next paper cutter, this one is easystep up to a Titan 200! The Titan 200 continues the Challenge excellence of innovation and strength weve become famous for since 1870. The Titan 200 is based on a solid cast iron and steel construction for maximum durability. UHMW gib surfaces, LED line lights, and a one-inch thick solid tool aluminum table require virtually no maintenance for years of trouble-free operation. The intuitive menu-driven controller allows variable mode data entry with up to 99 jobs / 9,801 total cut position storage. The optional electronic clamp pressure control minimizes waste. Machine self-diagnostics and error indication walks the operator through any potential difficulties. The Titan 200 meets the toughest safety standards in the industry today. Light-safety curtains, enclosed rear table, two-hand cut buttons, and knife safety latch contribute to our UL and CE certifications. Proudly manufactured in the USA, The Titan 200 continues our legacy of providingassurance you made the right decision.